After using Grandstream and Polycom IP Phones exclusively, I wanted to offer more choices to Small Business | Medical Office clients seeking a quality, affordable IP Phone. While Polycom phones are very nice and highly sought after, they are quite expensive. Grandstream phones gives you one of the Biggest Bang for your Buck considering the feature set and reasonable pricing. My goal was to test an IP Phone with color screen, Gigabit connectivity, BLF and it also had to be easily expandable in the future via an Expansion Modules. It also had to have the capability for Remote Provisioning either via the manufacturers’ servers or via FTP/TFPT/HTTP. 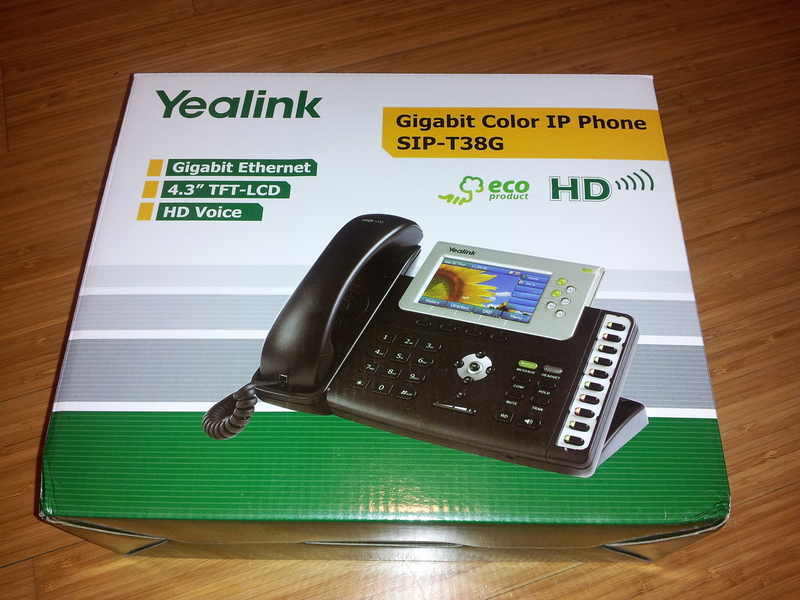 With that being said, I decided on Yealink SIP-T38G IP Phone with 6 SIP accounts, ability to connect Expansion Modules, BLF lamps, Gigabit connectivity, handset/headset ports, and a very reasonable price considering its Gigabit capability. Once it arrived, I checked the internal packaging to ensure ample cushioning during shipping. The individual components were well packaged in either a foam sleeve or plastic wraps while the internal cardboard pieces kept everything in place snugly. Component list was pretty standard, Phone, stand, handset, handset cord, ethernet cable, CD with manuals, and Quick Install/Start guide. 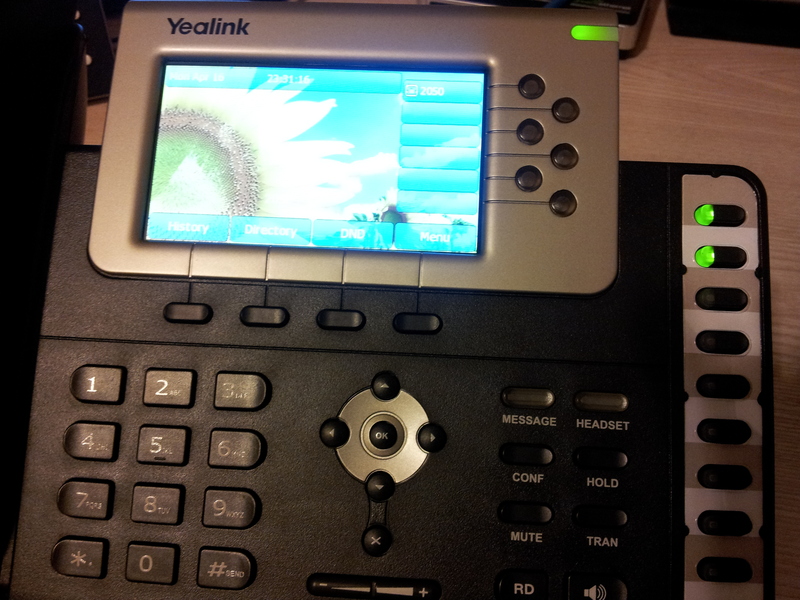 NOTE: I did not use Yealink’s Redirection and Provisioning Service as they have to approve my request. I did not realize I had to go through this step so I must wait to try this feature out. 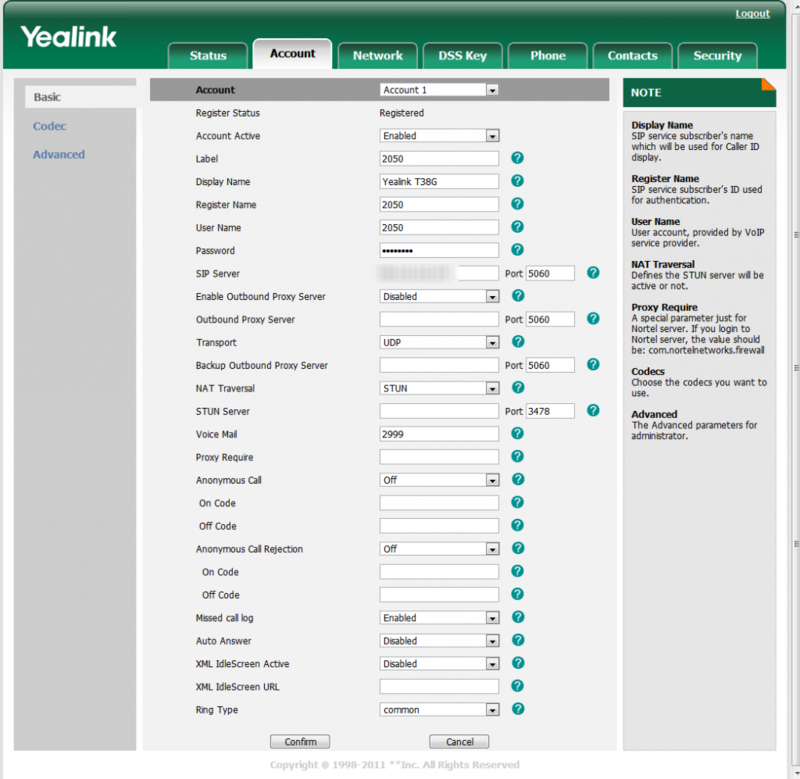 It turns out that Yealink’s RPS Cloud Service for the T3X series is in Beta and Not Available to me. They will contact me once it is ready for testing though. 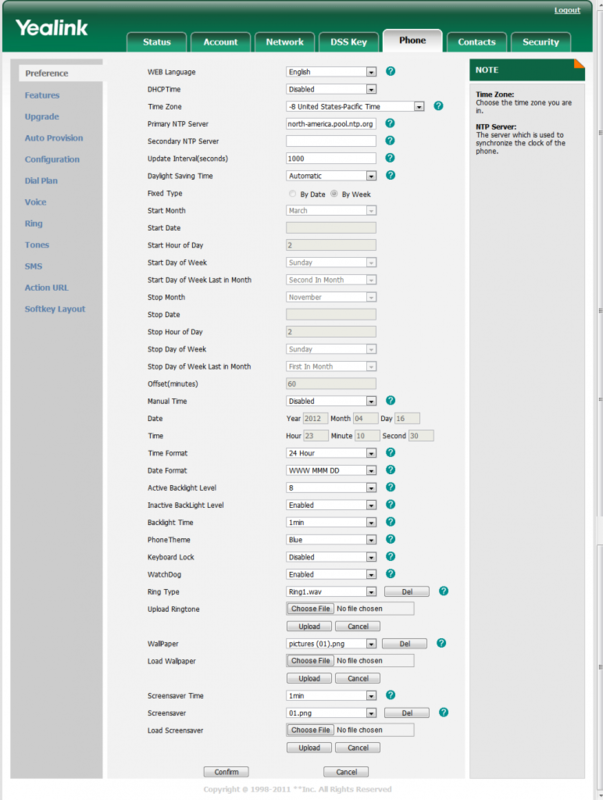 Once you get into the Web GUI, you will notice a nicely laid out interface that is easy to navigate and very responsive. Also, unlike some other Web GUIs out there, it did not make me reboot the phone every time I made some changes which was a huge time saver. SIP Account settings are pretty basic so I won’t go into too much detail. 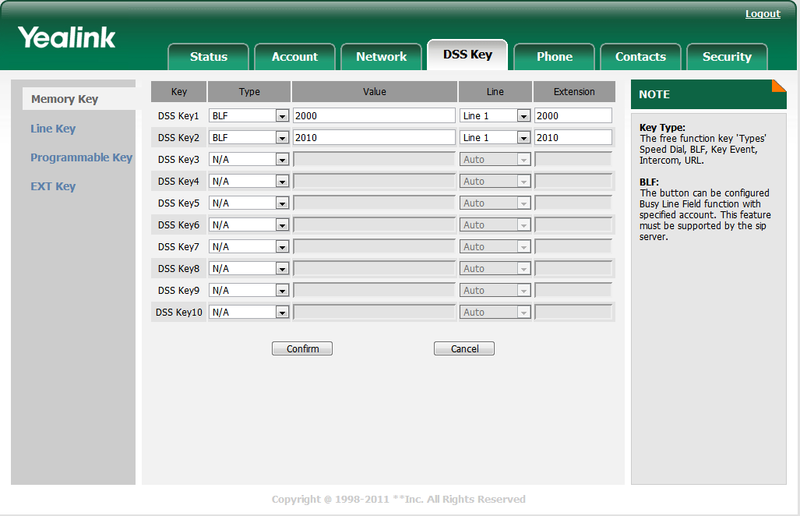 Once the SIP Account was set up, the phone Registered to the Asterisk server and showed up immediately when I typed in “sip show peers” at the Asterisk CLI. After a few outbound/inbound calls to verify the call quality which was very good, I wanted to delve into the BLF lamps. For those that have read BLF settings for Polycom IP Phones, you will know that most of the inner workings for the Polycom BLF fields were done in the MacAddress-phone.cfg . 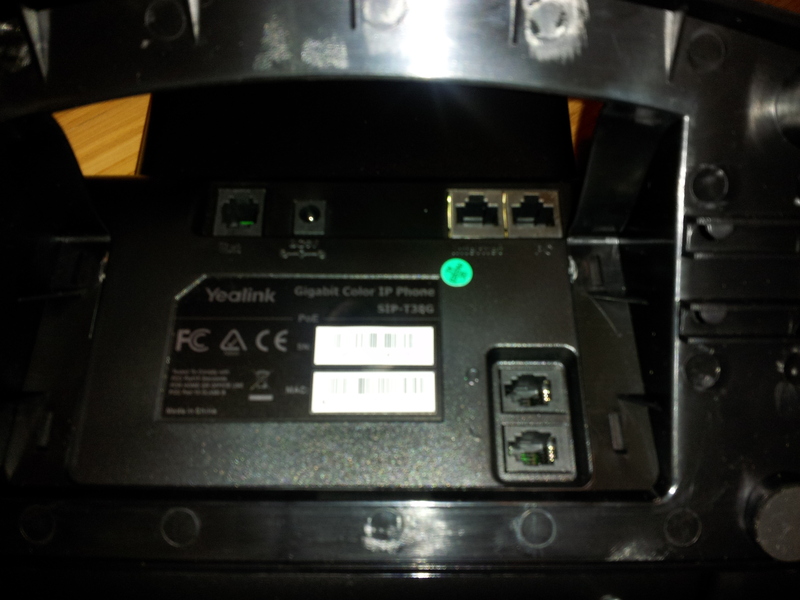 However, since Yealink phone was provisioned manually via Web GUI, we do not have to configure the MacAddress files. It is a very simple process which I plan to write about in the very near future. If you are interested in getting BLF working with Yealink IP Phones on Asterisk, let me know via Facebook or Twitter. 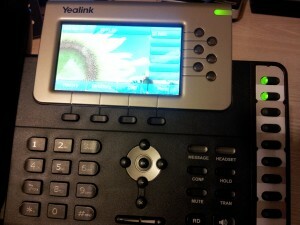 The picture to the left shows the Yealink SIP-T38G IP Phone with two BLF fields. These green LED lights turn Red when the phone is in use and blinks Red when the phone is ringing. Options like this makes this an ideal phone for receptionist at a Small Business or Medical Offices especially with the available Expansion Module.